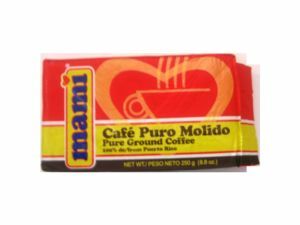 Café Mami is 100% premium quality Puerto Rican coffee, cultivated here on our Island and hand-picked by local farmers. Premium quality coffee is distinguished by its rich robust taste, full body and intense aroma. The "brick" package is air tight so your coffee is guaranteed for freshness and aroma, and will keep for an extended period of time.